The TxDMV will not issue oversize/overweight permits for travel into or out of disaster areas (see map below) for loads not related to relief efforts. 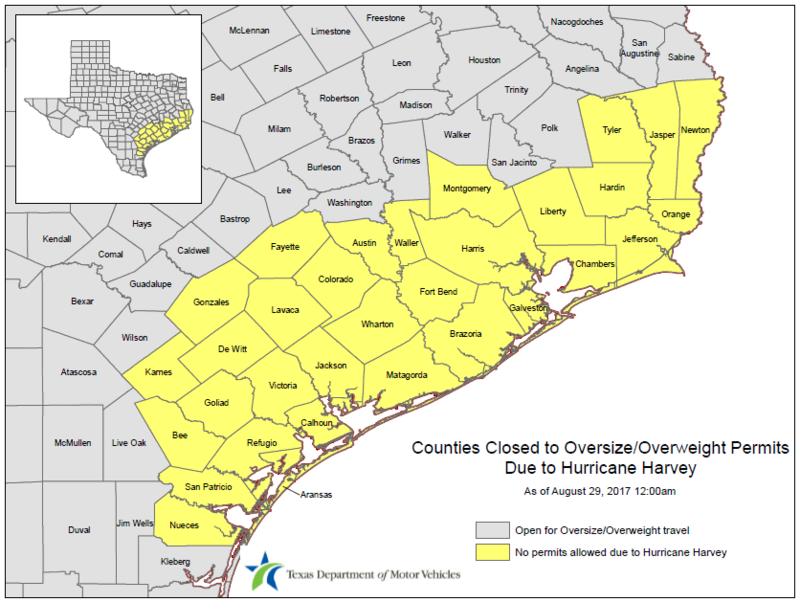 Only oversize and/or overweight vehicles involved in the relief efforts will be allowed to travel in the Hurricane Harvey affected areas. Active permits issued prior to the disaster will be extended as needed for travel at a later date. Note: Map will be updated as needed.